Prosthetic ring annuloplasty plays an important role in tricuspid valve repair. 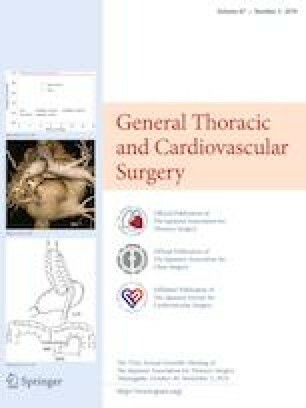 However, discussions regarding the appropriate suturing technique for rigid annuloplasty rings in patients with tricuspid valve anatomical variations are lacking. We aimed to clarify the diversity and pattern of tricuspid valve morphology. We analyzed tricuspid valve morphology and measured leaflet dimensions in 100 autopsy hearts, which were classified into three groups based on the number of posterior leaflet scallops: single scallop (PLS1) (n = 52), two scallops (PLS2) (n = 42), and three scallops (PLS3) (n = 5). One heart without posterior leaflet was excluded from the statistical analysis. Demographic characteristics were compared between PLS1, PLS2, and PLS3. The linear trends of proportions of each leaflet between PLS1, PLS2, and PLS3 were assessed using linear regression analysis. Median proportion (interquartile range) of the posterior annular length out of the entire annular perimeter in PLS1, PLS2, and PLS3 was 26% (22–31%), 37% (33–40%), and 45% (42–49%), respectively. Linear regression analysis showed a significant increasing trend (p for trend < 0.001) of the posterior leaflet annulus proportion from PLS1 to PLS3. Accordingly, the anterior and septal annulus proportions significantly decreased from PLS1 to PLS3. Approximately half of the tricuspid valve has multiple posterior leaflet scallops. The proportion of the posterior leaflet annular length to the tricuspid valve annulus perimeter increases as the number of posterior leaflet scallops increases. These morphologic variations will be fundamental for future discussion about the pathology of a dilated tricuspid valve and methodology of prosthetic ring annuloplasty. The authors wish to thank Dr. Yuji Nakajima, professor in the Department of Anatomy and Cell Biology, Osaka City University Graduate School of Medicine, for his helpful assistance to establish the basis of morphological consideration. We would like to thank Editage (https://www.editage.jp) for English language editing. Yoshito Sakon has no conflict of interest; Takashi Murakami has no conflict of interest; Hiromichi Fujii has no conflict of interest; Yosuke Takahashi has no conflict of interest; Akimasa Morisaki has no conflict of interest; Kokoro Yamane has no conflict of interest; Masahiko Ohsawa has no conflict of interest; Ayumi Shintani has no conflict of interest; Toshiko Seki has no conflict of interest; Toshihiko Shibata has no conflict of interest.